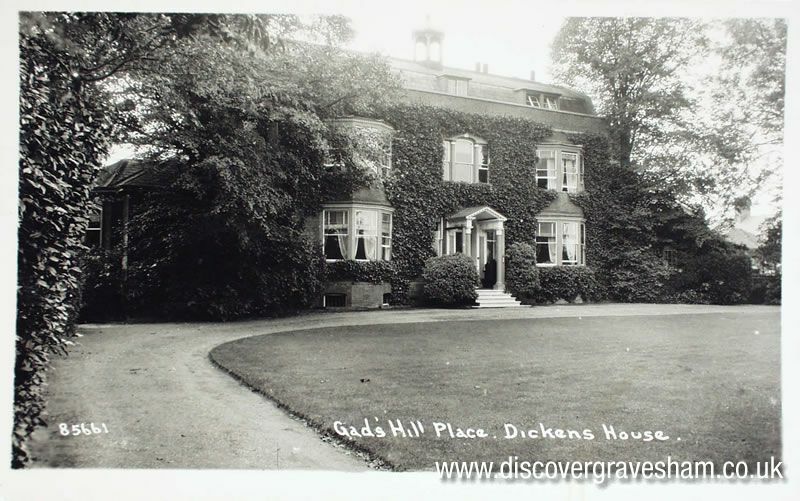 On 14 March 1856 Charles Dickens wrote a cheque for £1,790 to buy Gads Hill Place from Mrs Lynn Linton. The house itself cost £1,700 and the extra £90 was for the shrubbery across the road. It is often said that Dickens wanted the house since he was a boy living in Chatham and that he used it as the house owned by Miss Havisham in Great Expectations. The Dickens family did not move into the house until June 1857 as the occupant at the time of purchase, Reverend Joseph Hindle, was allowed to remain there until March 1857. During the first month at Gads Hill Place the Dickens family had Hans Christian Anderson to stay. Although originally invited for two weeks he extended his visit to five that, it seems, did not please Dickens. Dickens was soon was soon accepted locally, allowing the local people to hold cricket matches in his meadow and arranging Boxing Day sports each year. In 1868 Longfellow, with a number of his family, came to England and spent the Fourth of July weekend at Gads Hill Place. 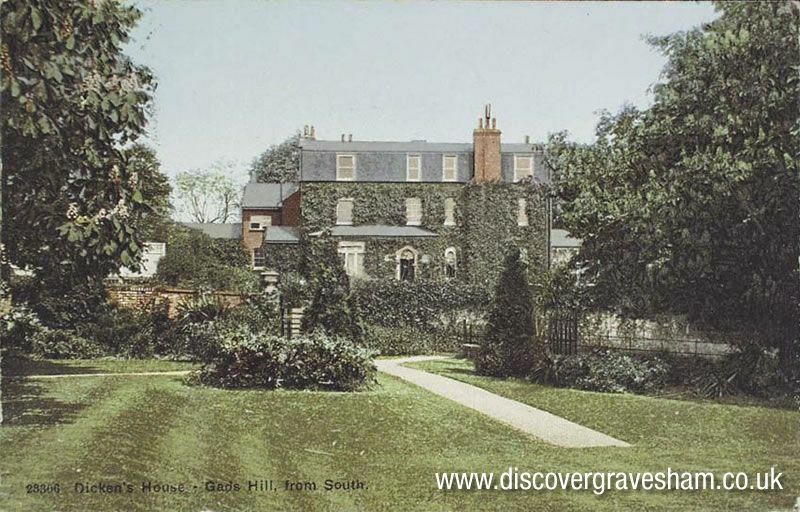 Dickens died at Gads Hill Place on 9 June 1870 of a stroke. At 6.00am on 14 June his plain coffin left Gads Hill Place for Higham Station for his burial at Westminster Abbey. Each member of his staff was left something in his will. His coachman was presented with his finger bowl that is reputed to still be in the possession of one Higham family. Extracts from ‘A Mosaic History of Higham’ by Andrew Rootes and Ian Craig available at Gravesend Library.